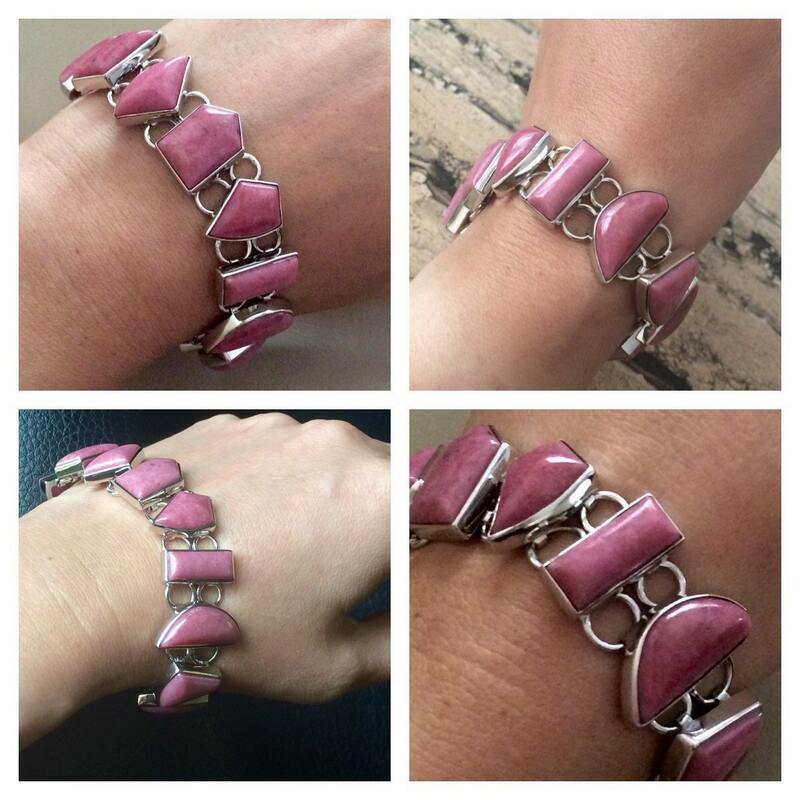 Sterling Silver 8 Freeform Rhodonite Link Toggle Bracelet. 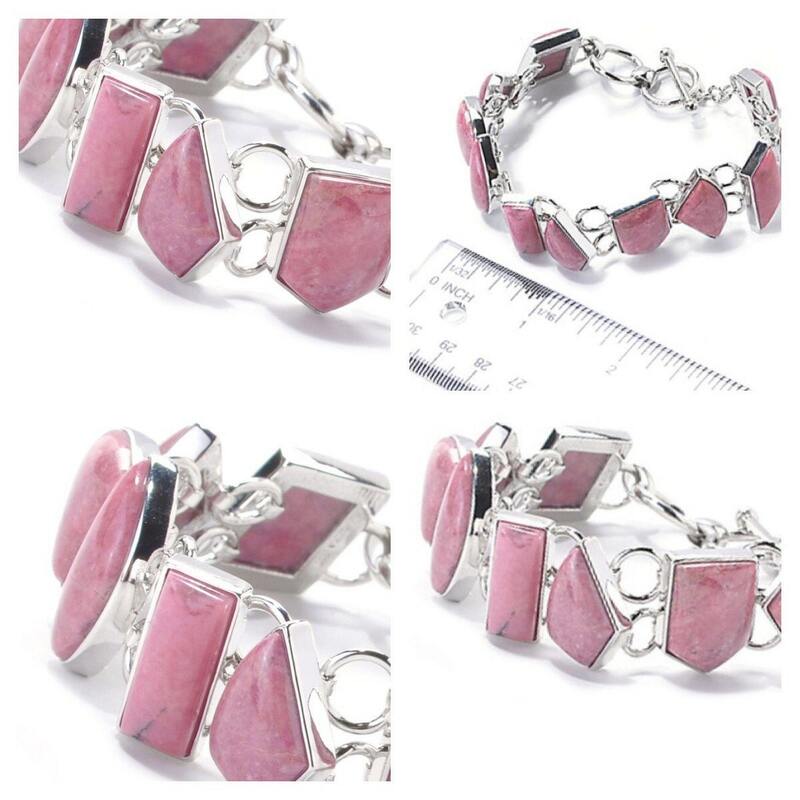 Sterling Silver 8" Freeform Rhodonite Link Toggle Bracelet. Fall in love with rosy pink! 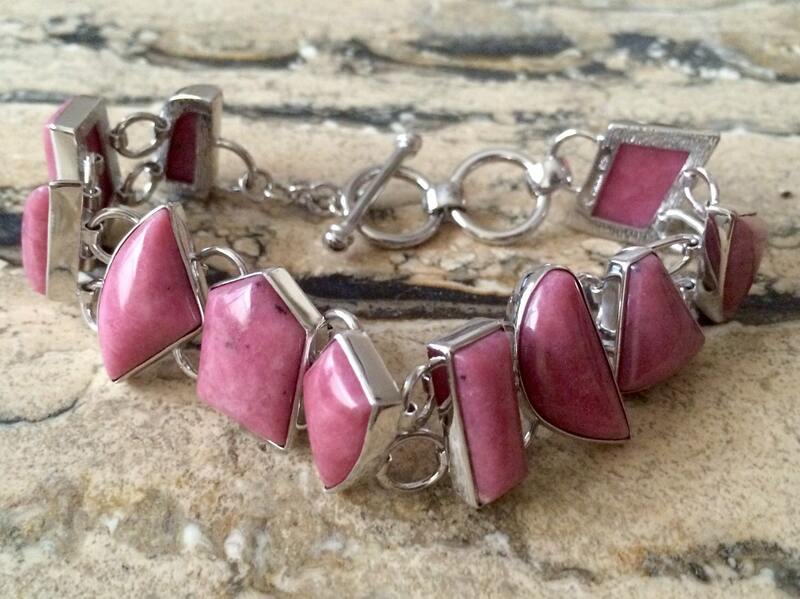 This bracelet boasts reddish pink rhodonites in freeform shapes. 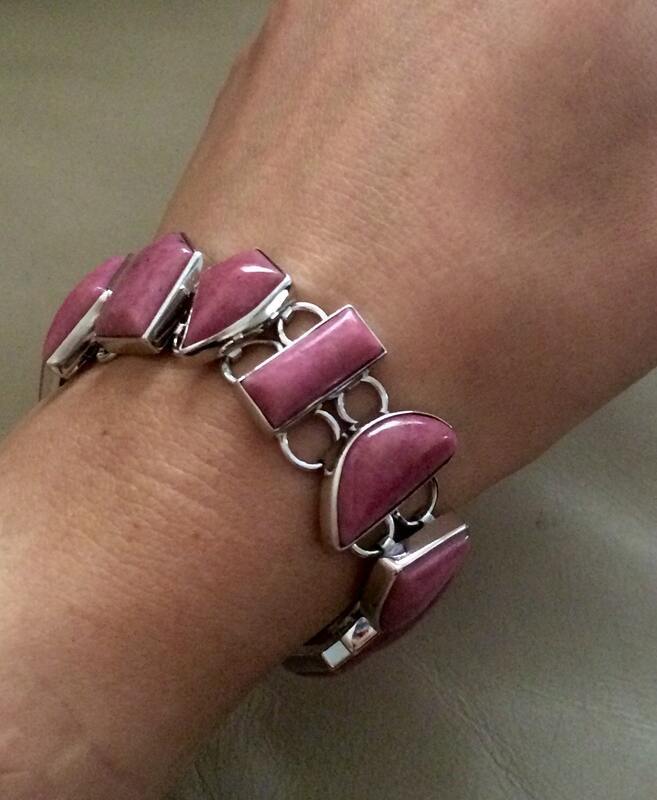 Each stone is fastened together by sterling silver links. 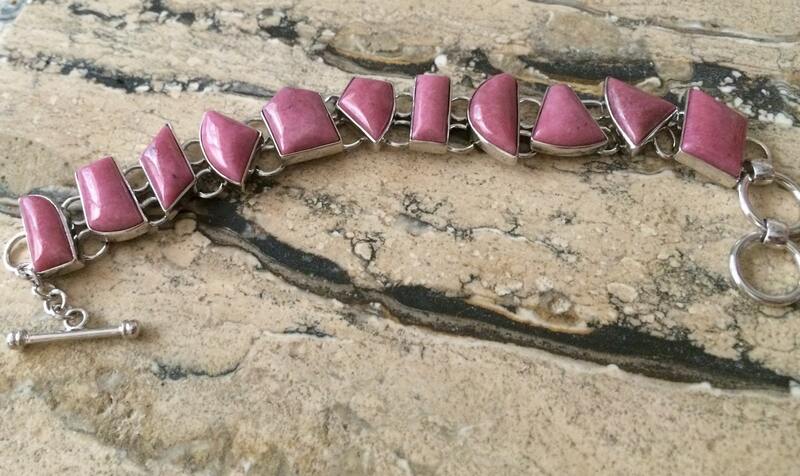 This piece can be worn at 7.5 or 8"L.
Gemstones may vary in color and/or pattern. Please allow for these natural variations. These are all Natural Gemstones. Make this treasure yours today, only one available. 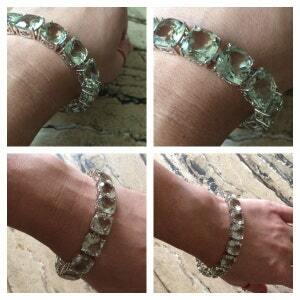 Sterling Silver 94ctw 12mm Cushion Cut Exotic Huge Green Prasiolite Tennis Bracelet . Sleek. Chic. Sophisticated ! 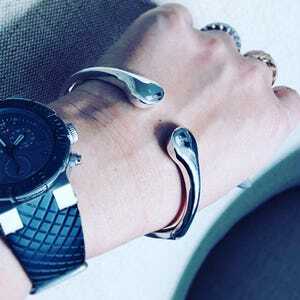 Sterling Silver Polished Oval-Link BraceletSleek. 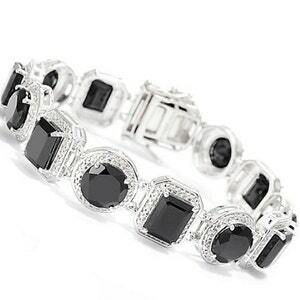 37.10ctw Black Spinel & White Zircon Multi Shape Link Bracelet Huge Tennis Bracelet .